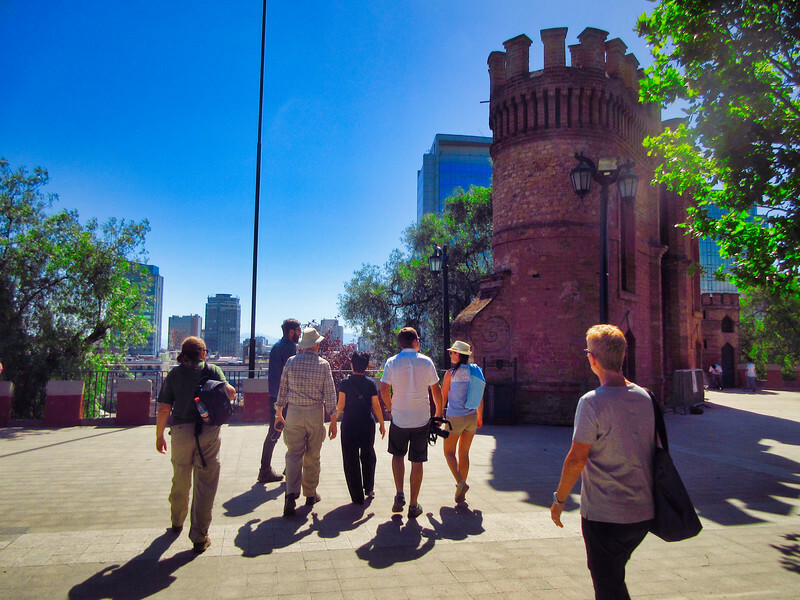 Our group of eight (8) fellow cruisers that met on the Cruise Critic Roll Call originally arranged a private transfer from Valparaiso to Santiago. 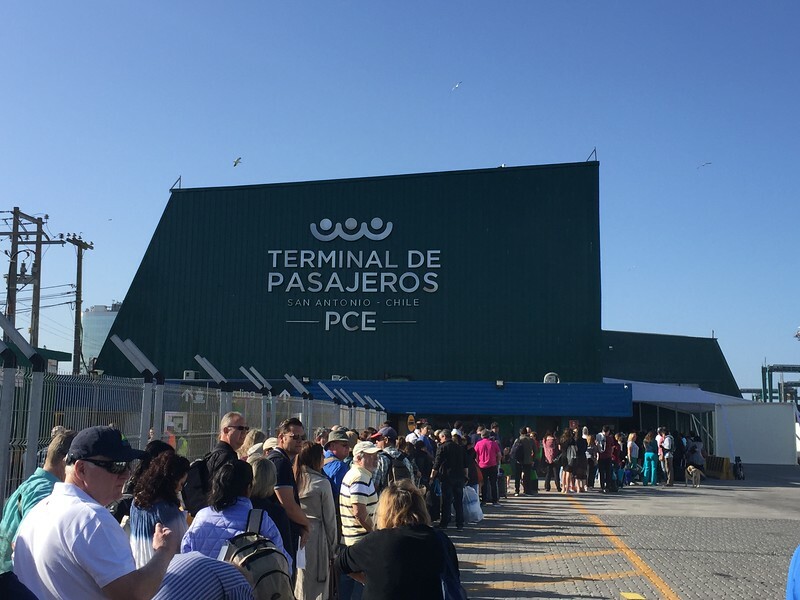 However, one month prior to our cruise, most (if not all) cruise lines changed their itineraries to eliminate Valparaiso due to labour / docking issues and re route to the town of San Antonio. 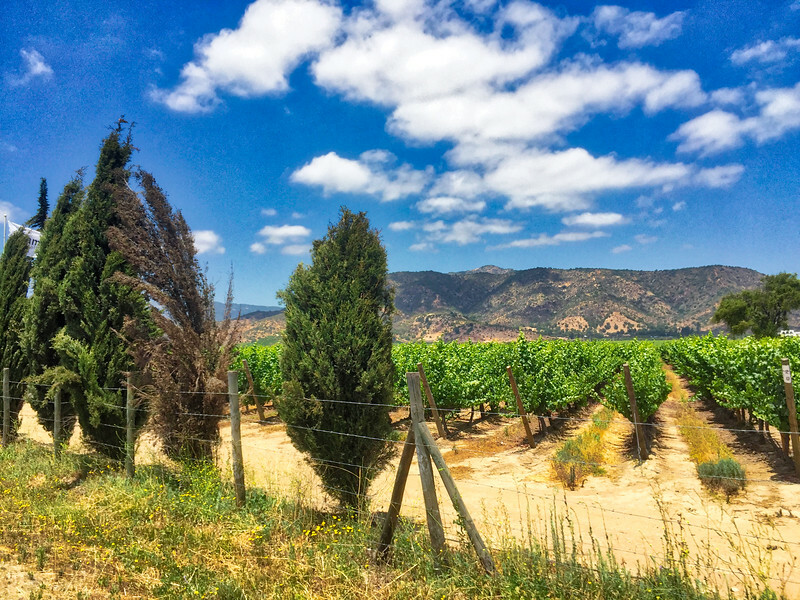 We contacted Stephanie of South Excursions (contact info at end of this report) and she rearranged everything to ensure we still had a transfer and a tour within the San Antonio area, prior to a stop at a Winery and then drop off in Santiago. 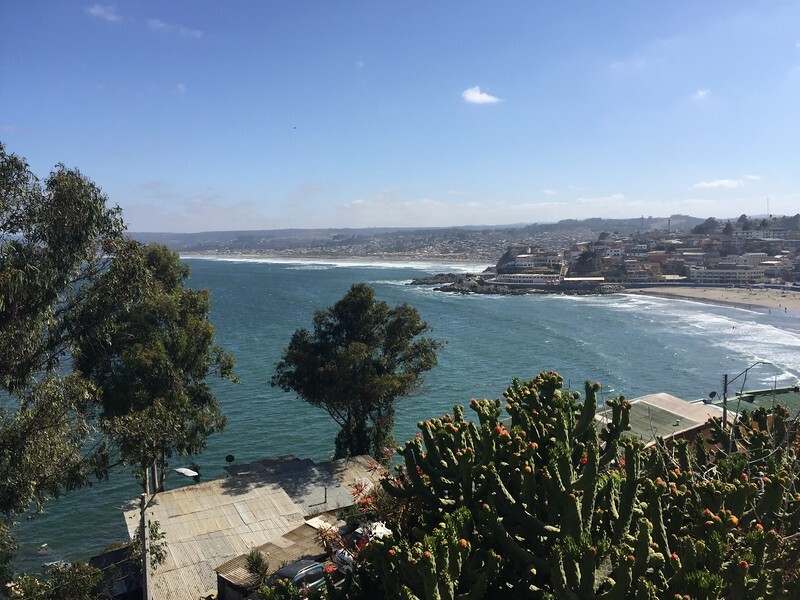 Her efforts were flawless and she also arranged a custom, special request stop within Algarrobo for an opportunity to see a vulnerable population of the Humboldt Penguin. San Antonio is 110 Km west of Santiago. Our guide first took us to a view point where we could observe the bay and some former estates of the past. He explained that it used to be a bustling port / resort town, but then Valparaiso eventually stole the show and the business that at one point was part of San Antonio’s golden years. Now, with the cruise ships returning, will San Antonio again flourish as it once did? only time will tell. Our guide then kindly did a quick stop at a National Reserve Lagoon, Santuario de La Naturaleza Laguna El Perl, just outside of San Antonio. Laguna El Peral is a wetland situated in the southern end of the village Las Cruzes. 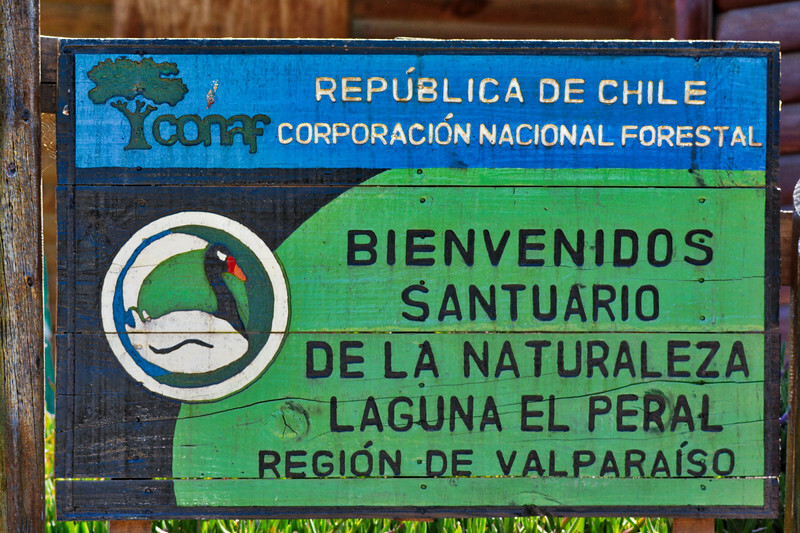 This reserve is managed by CONAF (Corporacion Nacional Forestal de Chile) which is the government agency managing national parks and forests. There were quite a few birds on the lake / lagoons and it was really great to see a conservation effort from the regional government to protect a delicate area for the local wildlife. My only regret is not walking more of the pathways around this area. It was only after I did “post cruise” reading about the area, I realized how diverse and rich this area was for birds. If we return to the San Antonio area (future cruise? ), then I would definitely return to this Sanctuary for further exploration. 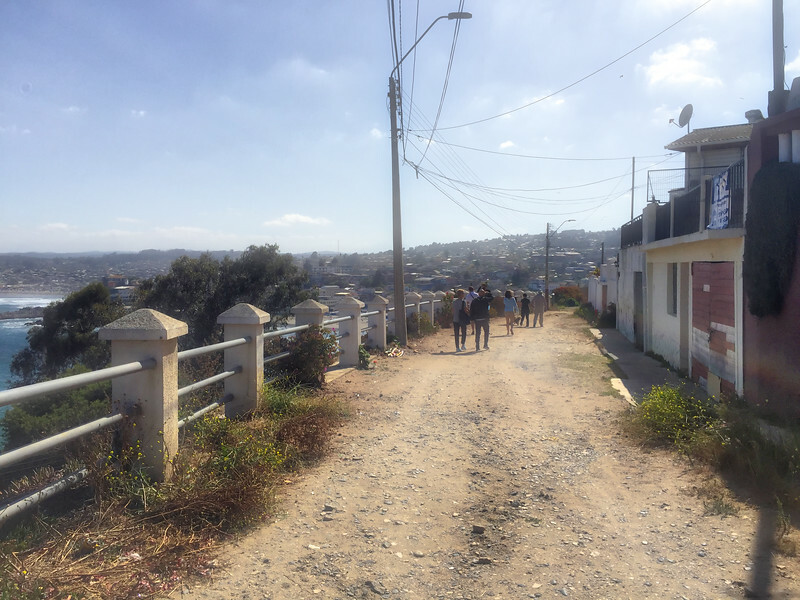 From the wildlife park, we continued towards the popular summer resort area of El Quisco which forms part of the Coast of Poets – a cultural area named for the famous Chilean poets: Pablo Neruda, Vicente Huidobro, Violeta Parra, and Nicanor Parra. 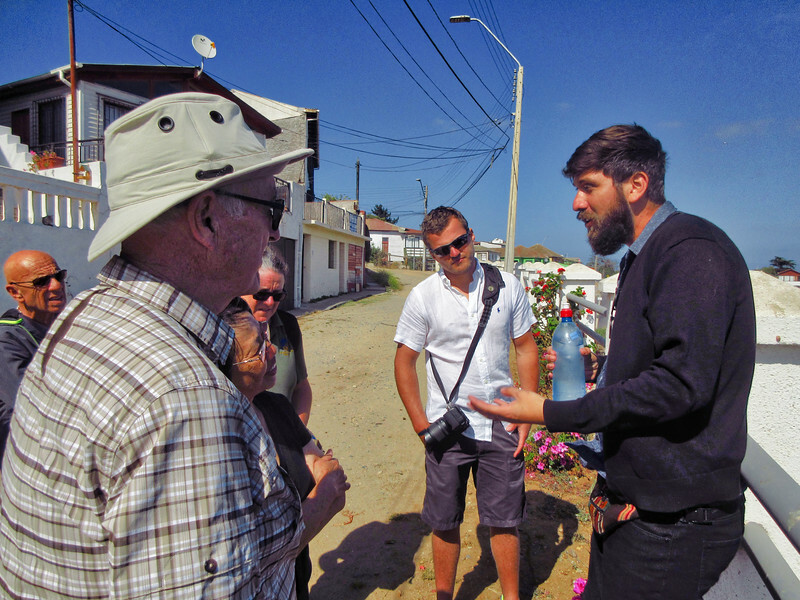 We made a short stop at “La Casa de Isla Negra”, which was the former house of Pablo Neruda, and now his final resting place (burial site), as well as a museum in his honour. 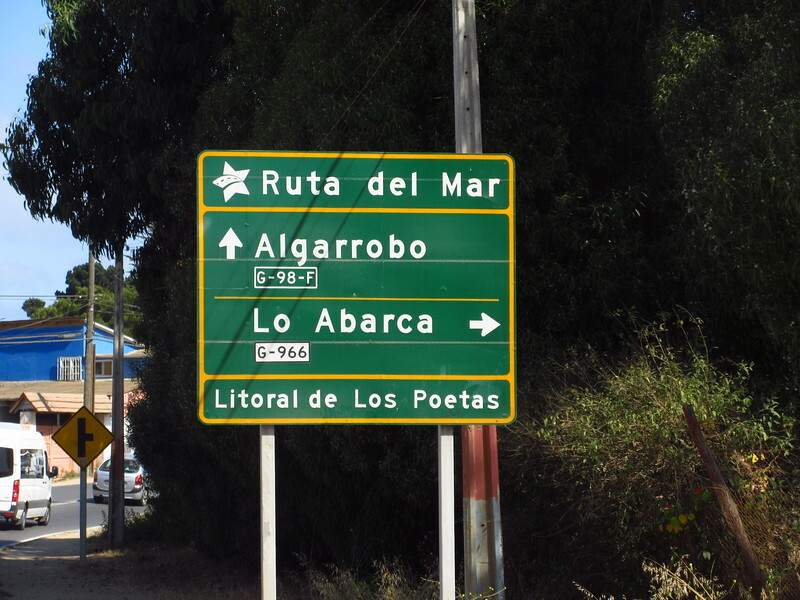 After the Neruda Museum, we continued towards the high end resort area of Algarrabo which is renowned for its beaches and hotels. 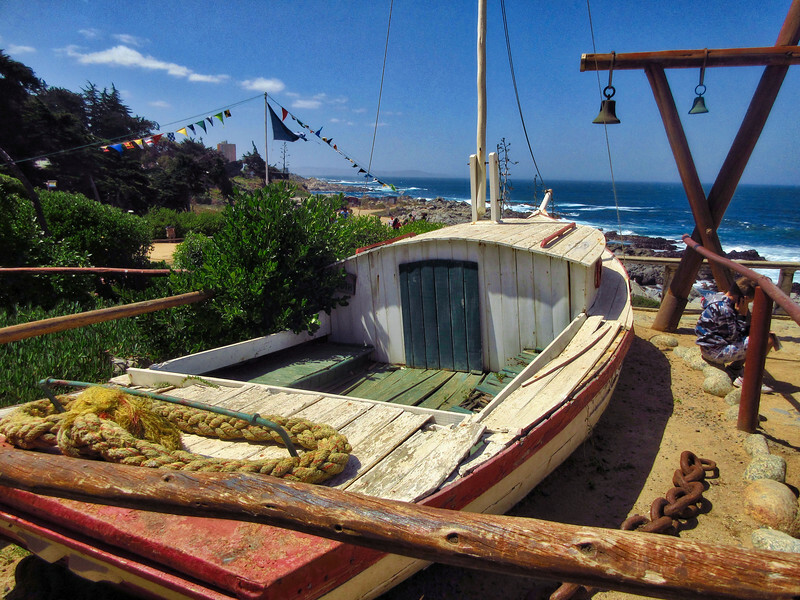 We prearranged with Stephanie to bypass the beach resorts in favour of a custom stop at a Yacht Club which is one of the few places along the Chilean coast where you can view Humboldt (in addition to Magellanic) penguins. Now, the tricky part is the marina is a private club and the small rock island where the penguins live is behind the marina. Both Stephanie and our guide tried their best to allow us into the marina grounds (for a closer view of the island), but the answer was a clear and definitive “no” from the private club. So? we went to Plan B, which was to hike up the hill in front of the marina that gave us a distant viewpoint of the island. Anthony had his scope with him and we were able to locate a small group of four Humboldt penguins [Spheniscus humboldti], in which he was able to share the view with our small entourage. I was able to take a few distant photos with my telephoto lens (600 mm) and then cropped the images to actually see the details, that indeed they were Humboldts. The Humboldt penguin is listed as Vulnerable by the IUCN’s red list of threatened species, due mainly to human activity & commercial development of the area (surprise!). 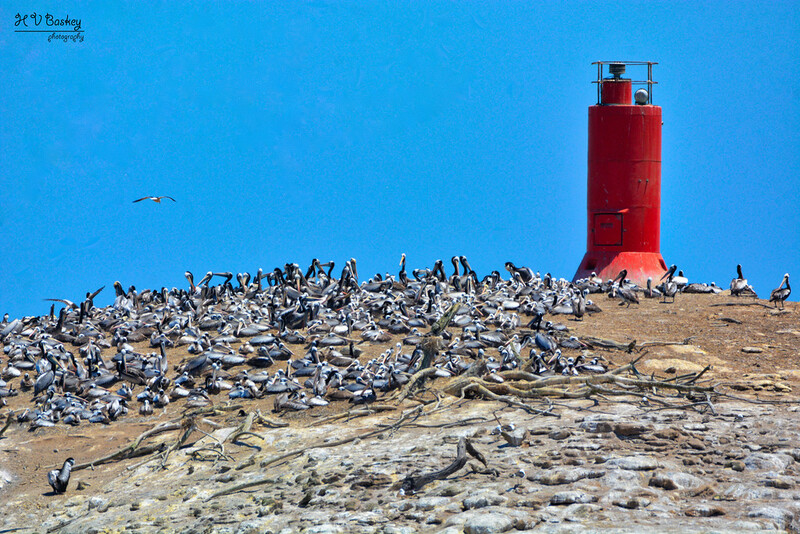 Although the Island of Pajaros Niños in Algarrobo is considered a sanctuary (protected), the population of penguins is particularly vulnerable (70% of its population has perished in the last 15 years). Once a thriving population, it is unknown whether this particular breeding colony of Humboldts will survive. For more information on this delicate colony – visit BirdLife International’s article. You can help #ProtectAPenguin by visiting BirdLife International’s sponsorship page. With your support (i.e., donation), BirdLife International will create new homes, work with fishermen to stop accidental penguin deaths, lobby governments to create Marine Protected Areas for safe feeding, and protect penguin chicks on land. 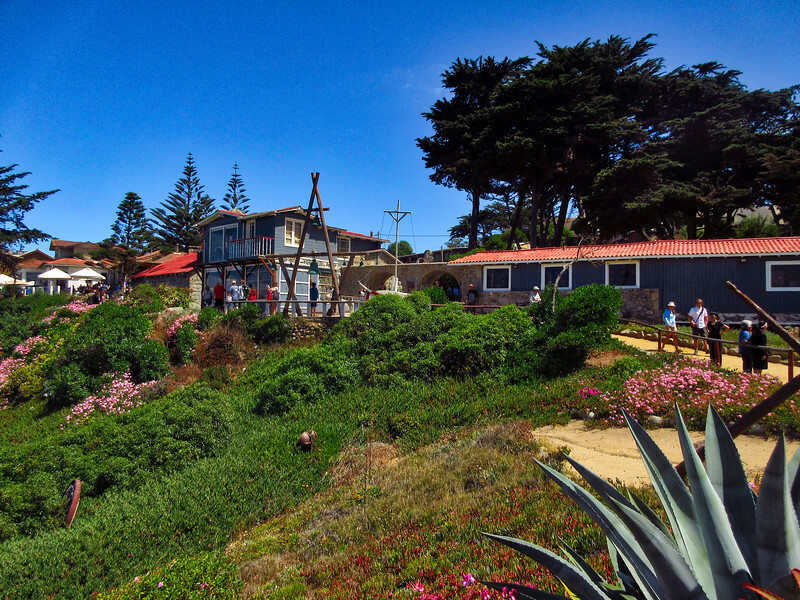 The island itself is also home to a larger rookery of Peruvian Pelicans, a smaller population of Neotropic Cormorants, and some Kelp Gulls. 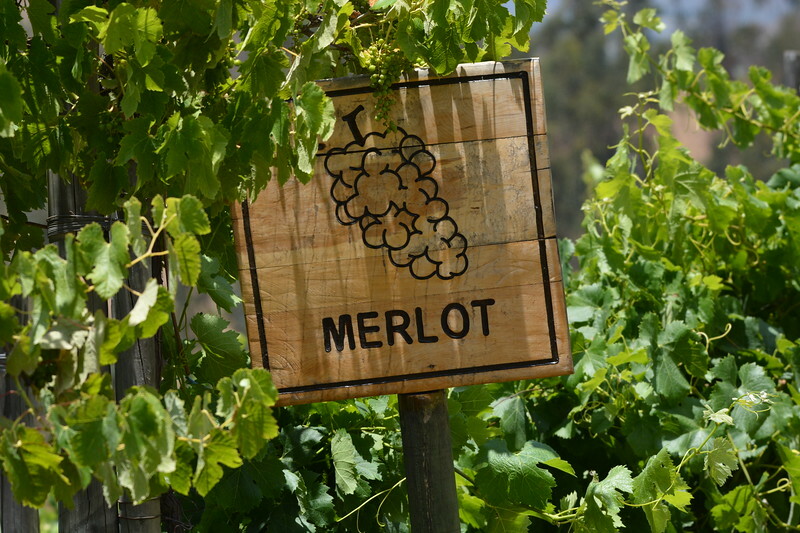 After our short stop, we continued inland towards our much anticipated winery visit. 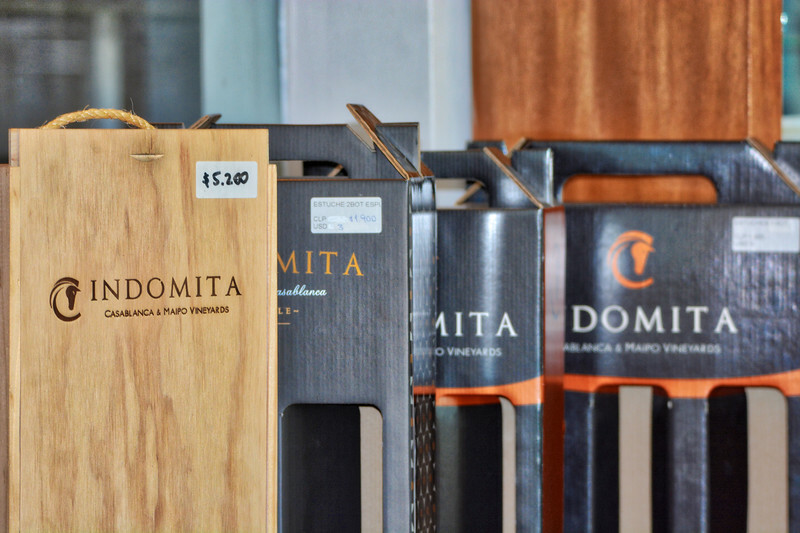 Indomita emerges among the hills and green vineyards of the Casablanca valley and was clearly visible from the highway. As we waited for our private wine tasting (included in our transfer tour price) event, we explored the patio / gardens and interior of the building. 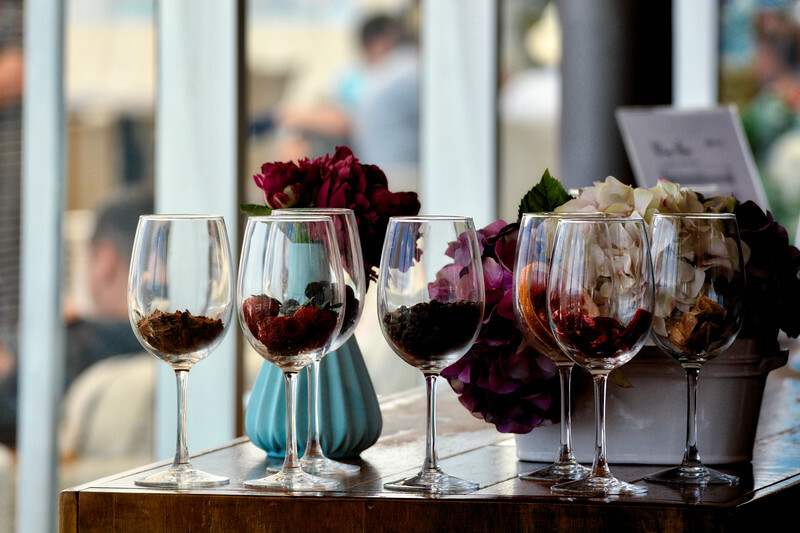 During our wine tasting in a corner of the shoppe, we explored four different wines – 2 whites and 2 reds. 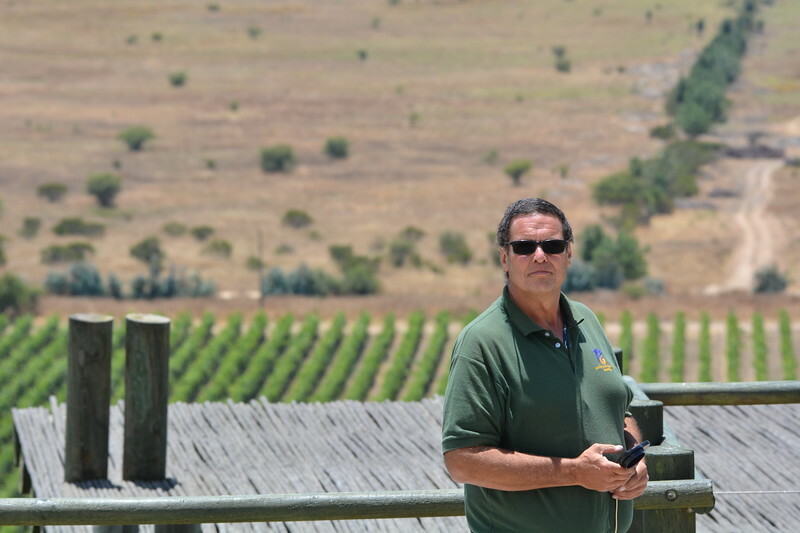 One of the reds, a Cabernet Sauvignon Gran Reserve was so impressive, that we decided to bring a bottle home with us. Wooden souvenir boxes were also sold in the box, so we packed up a bottle in a box and away we went! After the winery visit, we were all a little peckish, so our guide found a roadside stop for homemade Empanadas! Our tummies now satisfied, we continued inland towards Santiago. 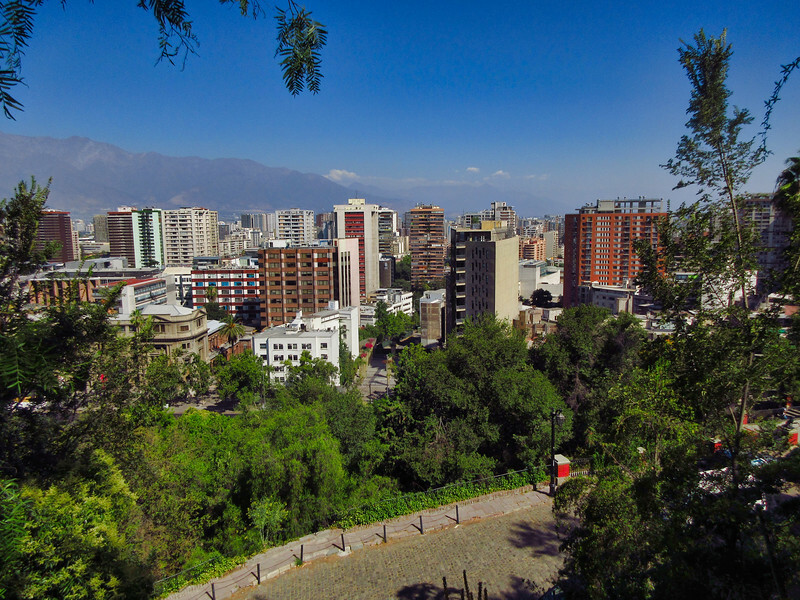 From the van, we were able to see the former National Congress building, along with the Justice Palace, to the Plaza de Armas (main square), the main post office (former Governor’s palace), and then we made a stop at Santa Lucia Hill which offered an amazing view of the city. 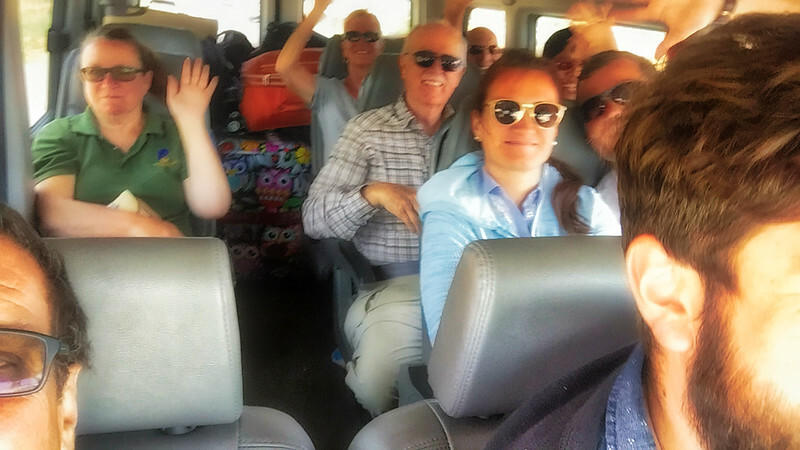 After our stop at the hill, our van dropped off two couples (including us) at our respective accommodations, before taking the remaining two couples to the airport. 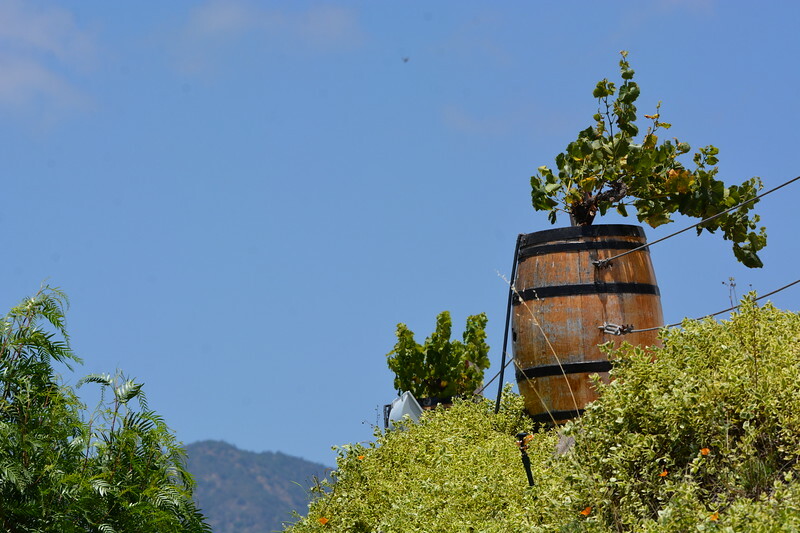 Please continue on (button below) for our review on the De Blasis Bed & Breakfast in Santiago.